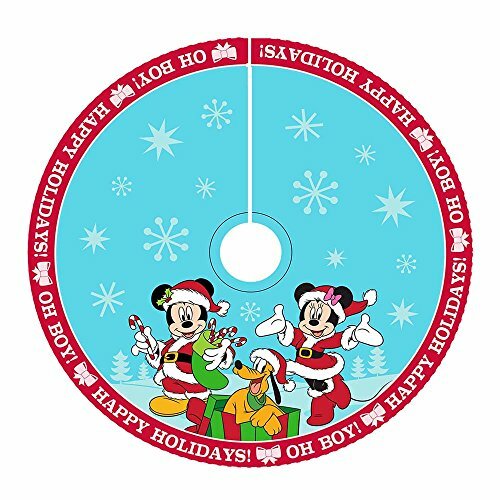 Add the perfect finishing touch to your Christmas tree with this 48" Mickey and Minnie print satin tree skirt from Kurt Adler. Perfect for any Disney fan, this satin-like tree skirt is blue with snowflake adornments, a red trim that reads, "Oh boy! happy holidays! ", and a fun image of Mickey mouse, Minnie mouse, and Pluto, all dressed up for the holidays.